Note: This version is for Violin and Piano. There are also versions for Piano Solo (Op. 190) and Violin and Orchestra (Op. 192a). Listen to or buy on iTunes. 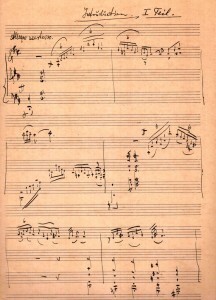 The Quartet for Harp, Violin, Viola and Cello was written for Lavry’s friends: the Weissgeber brothers who played violin and cello and harpist Klari Sarvas. 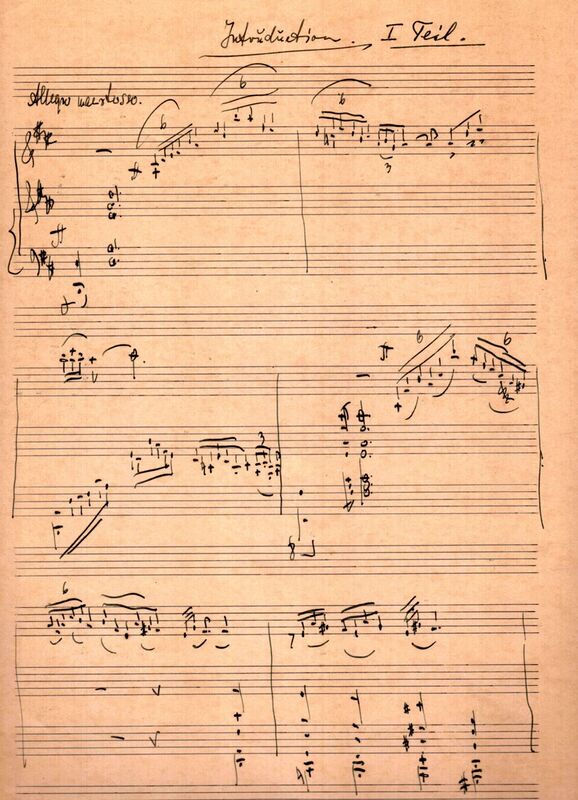 This virtuosic composition was first performed in 1939. Note: This version (Op. 258a) is for Violin and Orchestra. Israeliana Op. 258 is written for Symphonic Orchestra, Op. 258b is for Violin and Piano, and Op. 258c for Piano Solo. 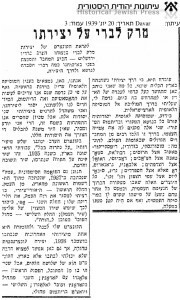 The Concerto for Violin and Orchestra was composed for violinist Andreas Weissgerber – Lavry’s friend – who premiered it on June 20, 1939 with the Radio Symphony Orchestra of Palestine. 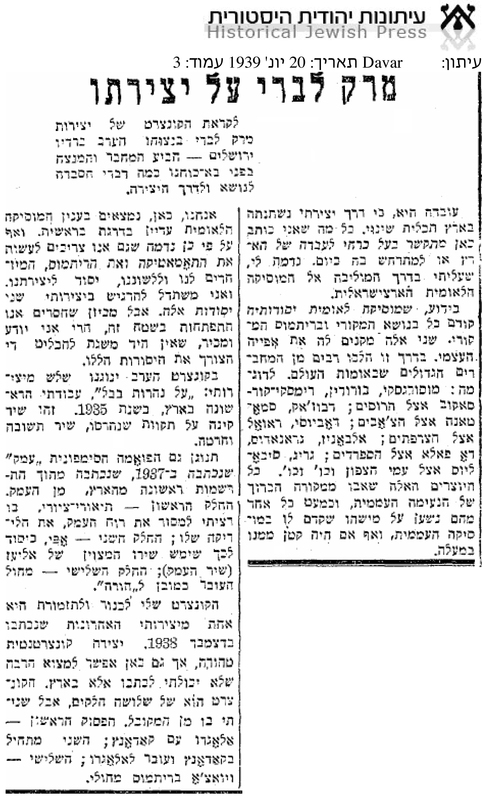 Suite for Violin and Orchestra was premiered on February 19, 1939 in Jerusalem. 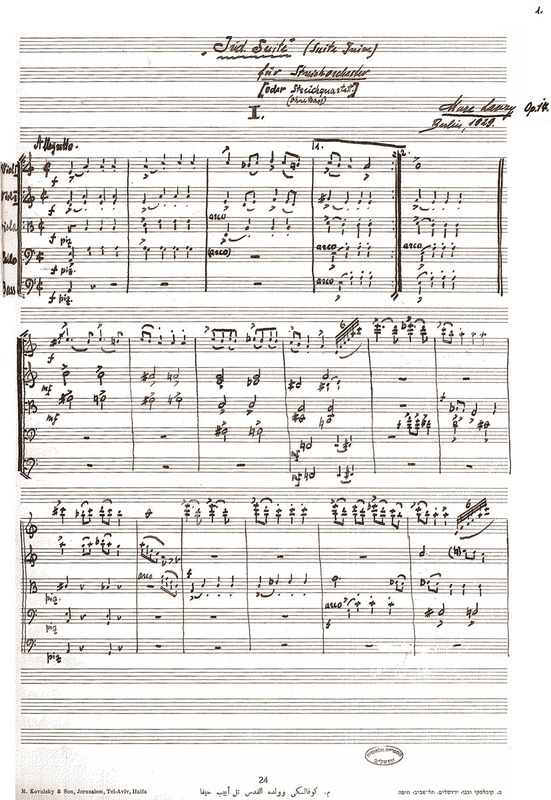 Variations: This composition is written for both String Orchestra and String Quartet. 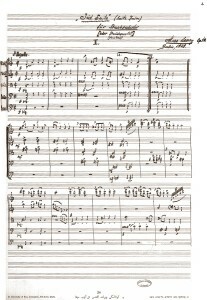 On the score Lavry wrote ‘Oder Bass’ (without contrabass) for the quartet.